• Violence against women is a universal phenomenon. • Women are subjected to different forms of violence – physical, sexual, psychological and economic – both within and outside their homes. • Rates of women experiencing physical violence at least once in their lifetime vary from several per cent to over 59 per cent depending on where they live. • Current statistical measurements of violence against women provide a limited source of information, and statistical definitions and classifications require more work and harmonization at the international level. • Female genital mutilation – the most harmful mass perpetuation of violence against women – shows a slight decline. • In many regions of the world longstanding customs put considerable pressure on women to accept abuse. Source: Compiled by the United Nations Statistics Division from national and international surveys on violence against women. 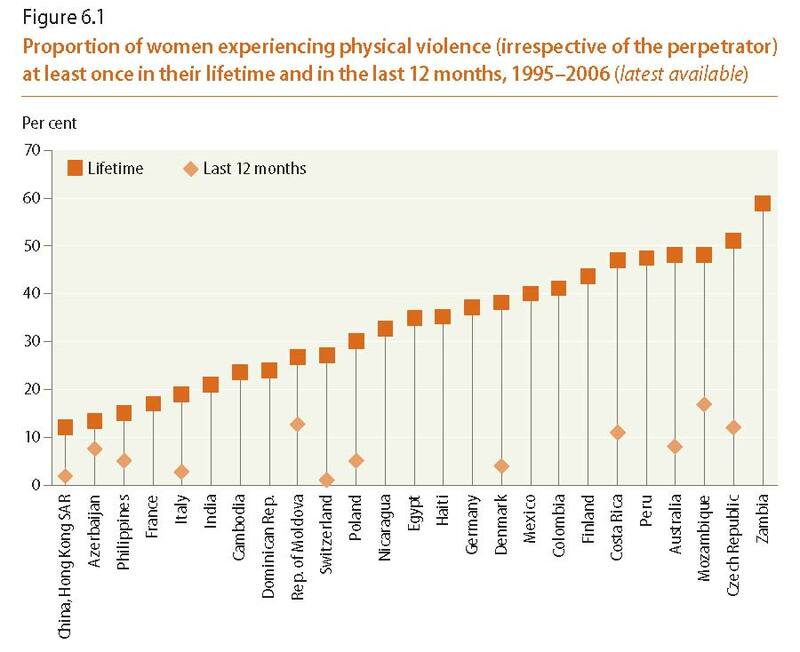 Note: Statistics on physical violence against women in the last 12 months were not available for all the countries. Data for India and Cambodia refer to ever-partnered women. Data for Finland refer to at least one form of violence or threat. 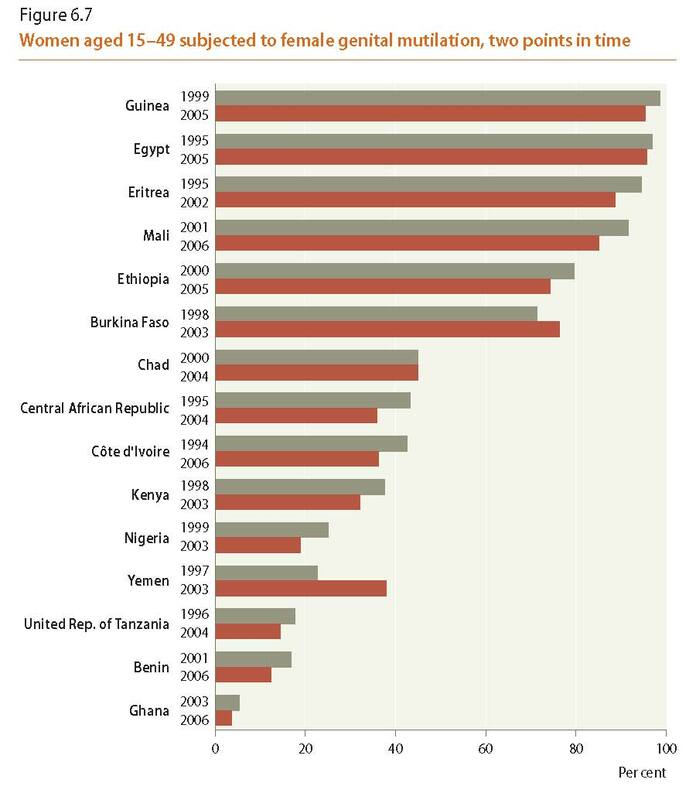 Source: Population Reference Bureau, Female Genital Mutilation/Cutting: Data and Trends (2008); and UNICEF, Female Genital Mutilation/Cutting: A Statistical Exploration (2005).